This was my first Lauren Carr book and it won't be my last. I really enjoyed it! Ice is the first in a new series, Cold Case Files. I can't wait for the next one! The very beginning of the story had me hooked right away. I tried the entire time to solve the cold case myself and didn't come close. Ice kept me on my toes and just when I thought I had it solved, it turned or twisted and left me wanting more. Chris Matheson left town after school and ended up in with the FBI. After the death of his wife, he and his 3 daughters move back home to his mother's house. Upon arriving at home, everyone starts talking about the past and Chris' involvement with his past girlfriend and her baby disappearance. Chris' mother, Doris, urges him to join a book club of retired enforcement/judges/lawyers type called the Geezer Squad. He finds out all to quickly that reading books has nothing to do with this club. Doris urges him to adopt a police dog, Sterling. I absolutely loved Doris and Sterling. His ex-boss at the FBI is on bed rest and asks him to help with a case she is working too. With the Geezer Squad's help, his mother's help, his ex-boss and Sterling, he is able to solve both cases. The characters in Ice are so realistic, they seem to jump off the pages. I truly enjoyed Lauren Carr's firsts book in the Cold Case Files series, Ice. 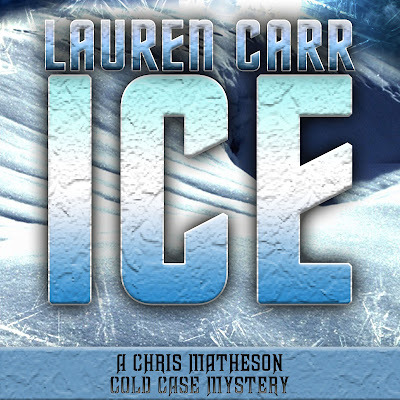 To read more audiobook reviews, please visit Lauren Carr's page on iRead Book Tours. Synopsis: The party is over for bikini model Izzy Alvarez. For six years she’s made a good living by flaunting her God-given assets on runways and in front of cameras, but now as she approaches the big 3-0, the bodacious Latina is shocked to learn she’s aged out of the profession that’s kept her in mojitos, mani/pedis, and designer thongs. What’s a girl with a taste for the finer things in life and no marketable skills to do? One (or more) Sentence Summary: Izzy As Is was described to me as sassy, fun, romantic and a little bit spicy like a jalapeño. That sums it up! I didn't care for Izzy at first. I thought she was too showy, only cared for herself, expected everyone to always fix her problems (money problems). About a third of the way into the story, my opinion of Izzy changed. She cared deeply about others (maybe not her older sister!) and really surprised me when she fixed her problem on her own. She could have taken the easy way out but her heart won out. Izzy As Is was a easy and fast paced read. Given it is takes place in Miami, I thought it was a great read to kick off the summer! Would I Read Other Books by the Author: I would like to read Mixing It Up, In Need of Therapy and Blame It on the Fame. I have read and reviewed Twin Piques. 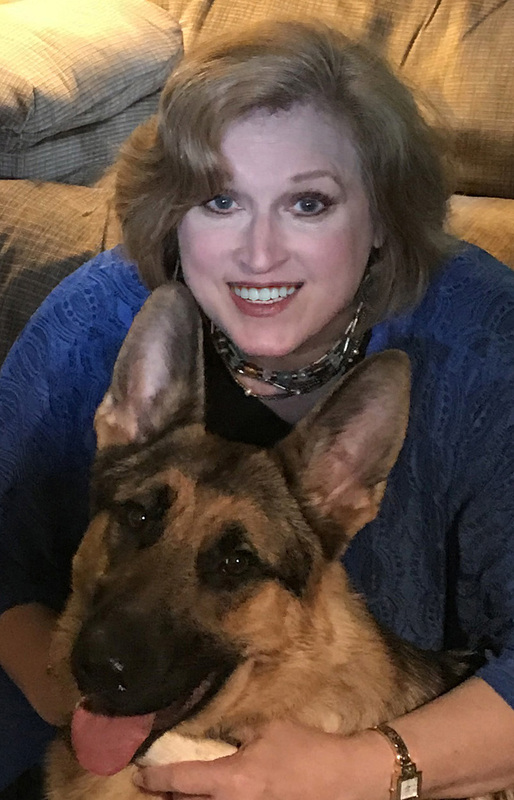 Tracie's dreams of authorial success were put on the backburner when she reached adulthood and discovered that she needed a "real" job in order to pay her bills. Her career as personal assistant to a local entrepreneur lasted for12 years. When it ended, she decided to follow her bliss and dedicate herself to writing full-time. She is the proud winner of the 2017 Independent Press Award (Romantic Comedy) and a Bronze Medal in the 2017 Readers' Favorite Awards(Chick Lit). Although Tracie swore she'd never write a sequel to any of her books, the character of Izzy Alvarez, who first appeared in In Need of Therapy,would not be denied. 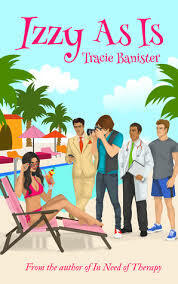 Izzy As Is is Tracie's fifth novel, and she hopes readers enjoy this return trip to Miami.